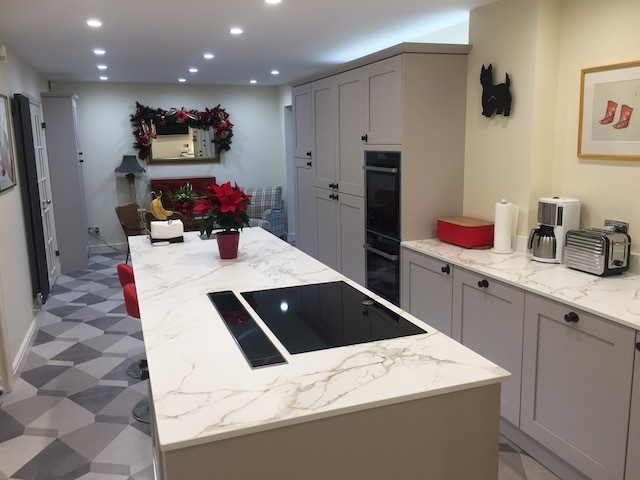 James & Sheree wanted to make more of their space. 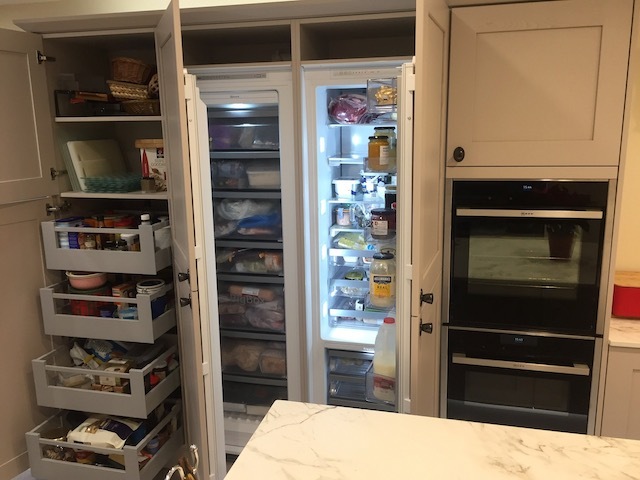 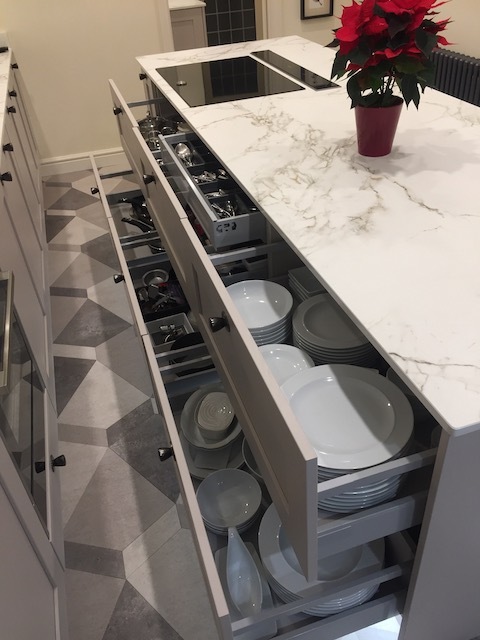 As big home cooks with a big family they needed a space that would provide stack of storage, workspace to spread out across whilst allowing people to congregate. 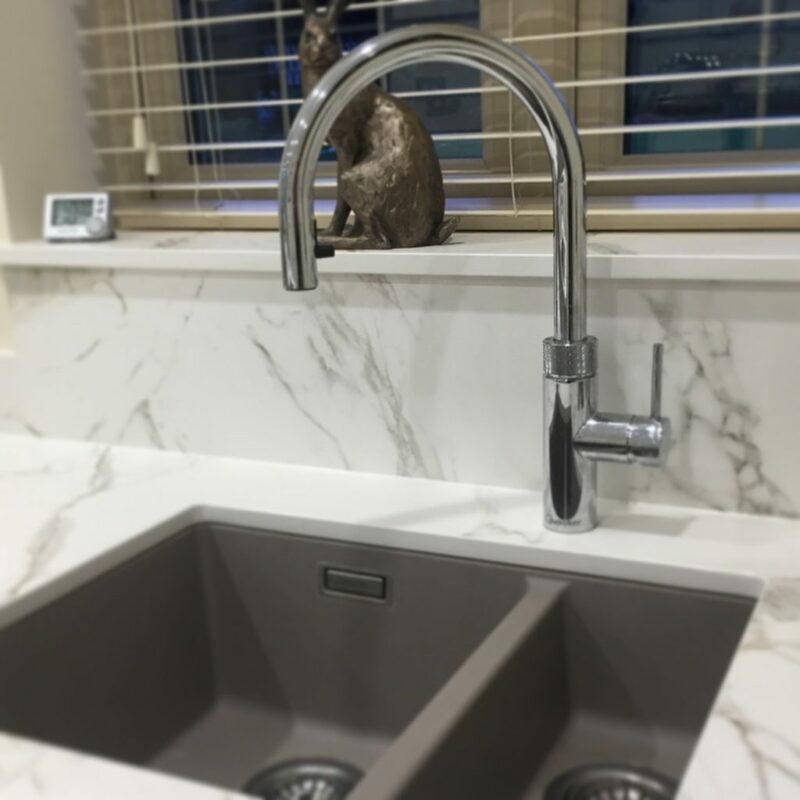 Includes: Kitchen, worktop, floor, appliances, lighting with building works, removal, electrics, plumbing, plastering, tiling, decorating and installation. 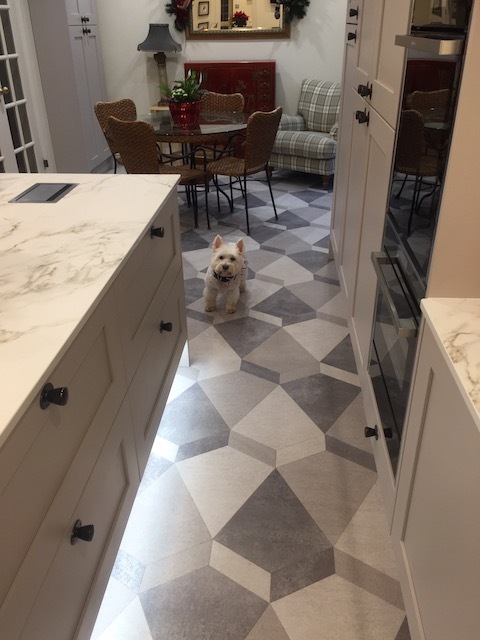 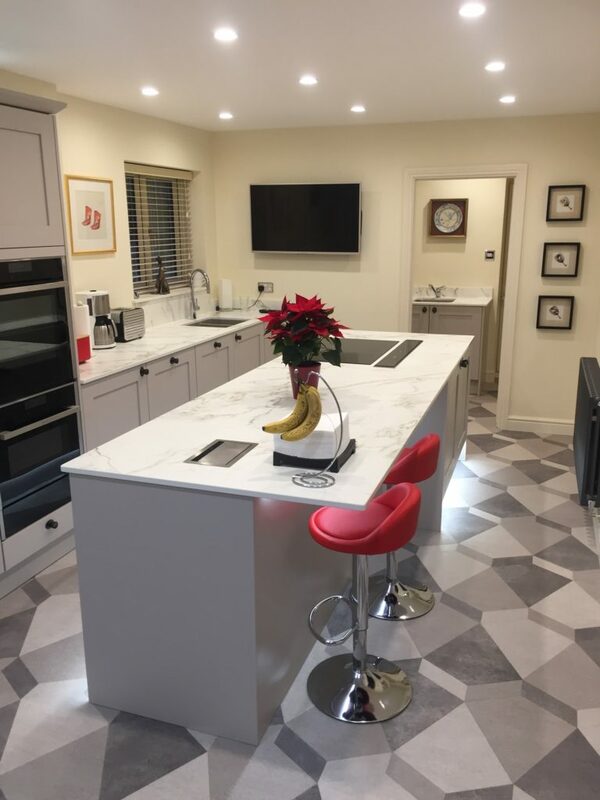 With some careful planning this space allows people to congregate in the space whilst keeping the flow of the working kitchen open and easy to move in.